Having provided SEO services since 2001 I’ve been in the thick of optimising websites, large and small, for many years. Even after all this time I am still surprised by the lack of understanding by many business owners, to even take some baby steps and learn a little about SEO to help ensure their website stands a better chance of being found on search. This post is designed to change all that. From a very basic perspective there are two parts to Search Engine Optimisation – on-page SEO and link building. You may say there is a third, which is the Technical/Crawling SEO side but that requires a greater grounding in website coding and web development, so I will exclude this one for now. If you want your website to rank higher on Google you have to make its content much more relevant to that search engine’s users. Things have changed a lot over the years as Google’s systems have become much more advanced but the SEO basics still work well for many small businesses, especially around the long-tail keyword side. Please don’t think you need clever tricks or stunts to deceive a search engine to rank your website, in fact if you try you may incur a ranking penalty and see your site suffer with a huge loss of traffic. Google and Bing have gotten much better at detecting deceptive SEO practices, so unless you really know what you are doing with what we in the industry call “black hat SEO” I’d strongly advise you to stay on the right side of Google. Your current rankings – use your Browser’s private mode and look for the types of phrases you want your website to be found for. Which page do you find yourself ranking on? This can take time so you may benefit from using a professional SEO tool on a free trial basis. Typically, the number of searches you can run will be limited on a daily basis, but it would be enough to help you. There is no point optimising for a phrase that you actually discover you already rank pretty well for so do some initial research. Your competitor rankings – look at the content of other sites, why do you think they rank higher than you? Are they using keyword phrases in a much more natural way? Do they offer a better website experience i.e. cleaner web layout, easy to use and navigate, good quality content? Review your site structure – the simplest way is to ensure you can reach any part of your website inside 3 mouse clicks. Also, are your navigation links self-explanatory to your website visitor? If not, then this is something you should consider fixing – make it much easier for them and they’ll reward you by reading more of your content and this can lead to more return visits and greater leads. Try mapping out your website navigation with Post-it notes on your desk (if it’s a relatively small site, it won’t be possible with an ecommerce site with thousands of pages). Ultimately you really want to keep your site navigation as simple as possible. A free tool to map out websites with up to 50 pages can be found at https://writemaps.com – you can pay a fee to be able to map out much larger websites. I strongly suggest you use this to help you. Keep your URL’s short – I always aim to keep page names to 3 or 4 words long, it’s easier for a human to read and looks cleaner in a search engine’s results pages. There is no need to go for long, keyword stuffed URL’s, you’re not doing anyone any favours. Keyword research – there are lots of SEO tools out there, such as SEMRush that can help you find new keywords to use in your site, but there can be lots of data wade through to find the ones you want. But an easy way is to look at your online competitors and look at the phrases they use on their websites. Look for a commonality, are they all looking to rank for the same keyword phrase? You can also try keywordshitter.com – which spits out keyword phrases on a theme, it’s not perfect but it can help by suggesting phrases you might not have thought about and could have missed. You know one of the best ways to find out what keywords you should target is to ask some of your really good customers what types of keywords they might type into a search engine to find a company like yours. I’ve spent many a happy hour sitting in with sales staff listening to how they respond to customer questions over the phone. This has been a great way to discover how people think and ensure this is reflected on the client website. Google has made SEO that much harder with algorithm updates so a certain amount of thinking and testing is required when beginning to optimise your website. I wouldn’t suggest you choose a keyword that is mega competitive (typically a one to three-word keyword phrase) – look for something a little longer, what we in the SEO industry call “long tail keywords” – typically phrases made up of 4 or more words with less search volume but a likely better opportunity to convert to a lead or sale in many cases. SEO is a lot like flying (something I have also done for 30+ years) – the technology has changed a lot over the years but the basics still take up 70% to 80% of overall effort in my opinion. Just making some changes to your page for long tail phrases you wish to target can have a substantial effect on your ranking on Google. So where to apply your target keyword phrases in your web page? In a nutshell update the following elements on your site page and you should start to see an increase in ranking within a few weeks/months. I will use the following page that I recently optimised as an example and show proof that SEO works. We get a lot of recommendations to provide Google Adwords Training, both in Bristol and Swindon so felt we should be in the top 3 rankings on Google for PPC related training. The very first thing I did was look at the top 7 competitor results already ranking on Google. This was the key to getting better rankings, not “PPC Training Bristol” – our web page did not include that phrase so by changing this would in my experience make the page much more relevant in Google’s eyes. This then, in my experience, made the title tag much more relevant to Google. I then rewrote the meta description to make that more relevant as well to the user and more “clickable”. Note I say “the user” NOT the search engine. In future it would seem that the meta description may be less effective and even disregarded by search engines but it’s still useful to ensure people can read your snippet. I kept the meta description less than 160 characters including spaces but you can make them longer nowadays if you wish, though that seems that Google is moving the goalposts on that. We inserted the targeted locations – Bristol and Swindon – in the second section of the content. Not ideal, I really wanted them to be used in the 1st paragraph but the content structure did not allow for that. Once I had made the required changes and ensured the copy was not looking like spam, we just had to sit back and wait. So making some changes to the pages had helped and my next task is to review the page performance. Is it funneling people, is it keeping people engaged and more important is it generating leads? In my next post I will cover link building to a page like this as sometimes just optimising your on page content isn’t enough to give it a boost. Need some help with your SEO? 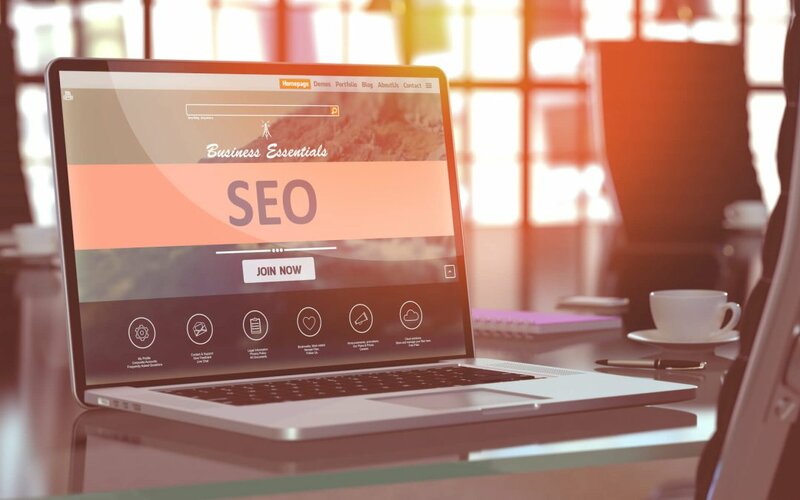 You’ll likely now appreciate the baby steps you can take to improve the SEO on your website, but if you’re still unsure or do not have the time or resources to make changes then why not hand it to a team of online marketing experts?